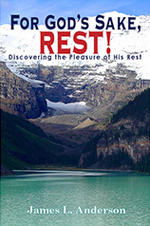 The message set forth in this book is God's Rest. Please take a moment and clear your desk, turn off the IM and E-mail, close Facebook, sit back and enjoy the the first two chapters of "For God's Sake, Rest!" Productiverest.org is run as a Ministry of the North Central District of the EFCA and is Non-Profit. Click here to Purchase the eBook version.